You don’t need harmful chemicals to get unwanted insects out of your garden. Instead, you can attract other insects that will act like security guards to keep out pests like Japanese beetles and cabbage worms. 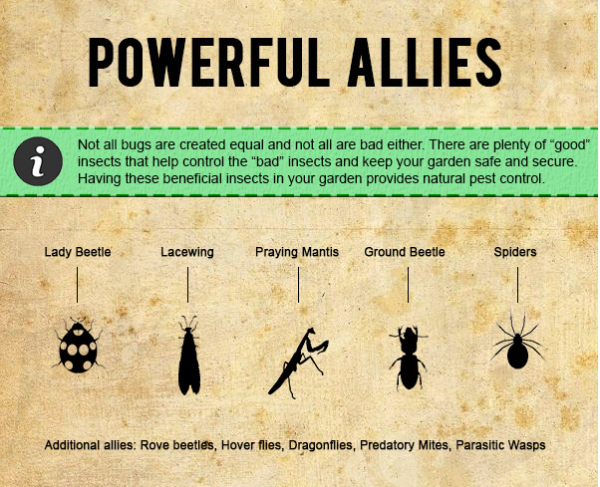 That’s one way to battle insects, according to this infographic from First Choice Environmental, which also recommends dusting your plants with fossilized algae, and building row covers. Do you have any tips? Share them in the comments.